Delta Air Lines and Sears Holding Corp. on Thursday disclosed a data breach that may have exposed the payment card details of hundreds of thousands of online customers. The breach originated at a software vendor called 7, which provides Sears, Delta, and other businesses with online chat services. Less than 100,000 Sears customers were supposedly impacted, according to Sears. A Delta spokesperson said hundreds of thousands of travelers are potentially exposed. Gizmodo has learned the breach was the result of a malware attack, and that the unauthorized access involved payment card numbers, CVV numbers, and expiration dates, in addition to customers’ names and addresses. In a statement, 7 said the breach occurred on September 27th of last year and was contained roughly two weeks later. In a statement, Sears said it was first notified about the breach in mid-March. Credit card companies have been notified, and law enforcement is likewise investigating the incident. Delta said it would be contacting customers directly by first-class postal mail and launching a dedicated phone line and website for those affected. Free credit monitoring will be offered. 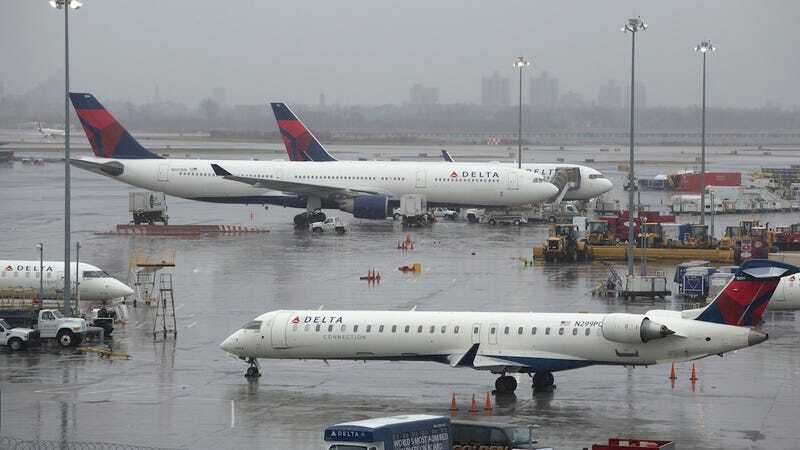 The nature of the malware involved has not been disclosed and it remains unclear whether the payment card information, which Delta say was entered by the customers themselves, got intercepted in transit or was improperly stored. It is also unclear why more than five months passed before 7 notified Sears and Delta. In an email, a 7 spokesperson declined to offer any additional information, citing client confidentiality. They would not say why it took five and a half months to notify Delta and Sears about the breach. According to its website, 7 serves a wide range of industries, from banking and healthcare to insurance and travel & hospitality. In addition to Delta and Sears, the company has provided customer service solutions to Vodafone, Merrill Lynch, Victoria’s Secret, and Hong Kong Disneyland, among others. While Delta and Sears were identified as the only companies affected by the breach, it is not clear why that would be the case—if, in fact, it is.